Summer’s here, can you believe it? I honestly can’t. But we’re ready to celebrate over the heated pit of a fired grill with family and friends this coming weekend. Certified organic, vegan, gluten-free and nut-free, these chips from Late July Organic Snacks offer up a really delicious pop of taste that comes as very refreshing considering all the tortilla chips out there. Sturdy with a great crunch, they’re a definite party pleaser! I’ve had the pleasure of tasting all of their various chip flavors and I truly love Late July Organic Snacks, what they stand for and the products they produce. Check them out at your local grocer and read more about their other flavors here. If you’re looking to keep something on you this weekend in the car, Navitas Naturals has a really great gluten-free snack product. It’s very tasty and loaded with lots of nutrients without having too much sugar like many of the ‘natural’ energy bars out there on the market. Plus the small squares are quite filling, so you only need to eat 2 or 3 to feel great which is definitely awesome! So whether you’re on the go or need a quite fix while out at the beach, definitely pick these up before you head away for the weekend. Whether you’re looking to create a wrap or just something simple that you could use this weekend to make up some tacos, I’d definitely suggest these tortillas. They’ve got three flavors to choose from and what’s even better? 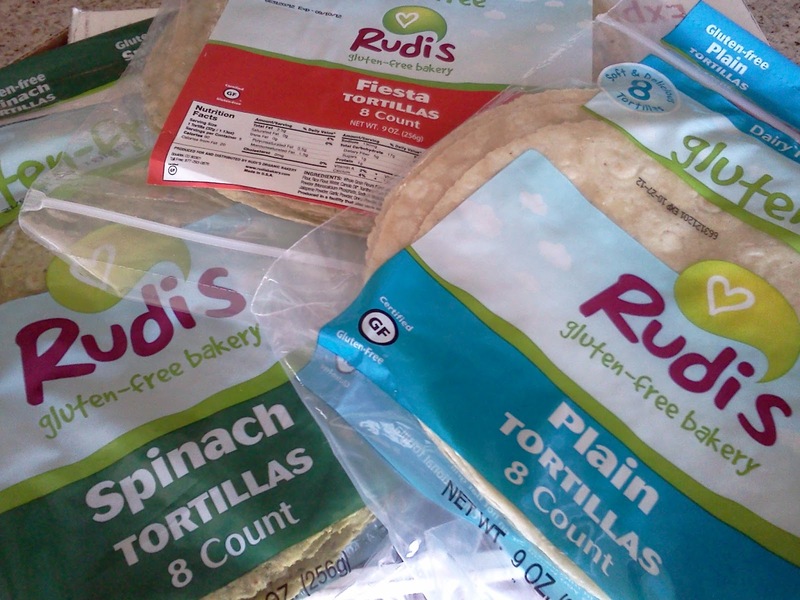 You don’t have to keep them frozen or even refrigerated like many of the other gluten-free tortillas and wraps out there on the market. Yes, it’s finally here — dehydrated coconut water! I hate the waste of those tetra-paks since they really can’t be recycled. YogaEarth offers up an absolutely steller product that you can carry with you to the beach this weekend (or all through the summer) or tucked away in your yoga or gym bag. You can take it on a run or put it into your cycling pocket while out on a ride. Simply mix with water and GO! I’ve tried several of these dehydrated coconut water options out there, and folks, this is the best by leaps and bounds. My question to you — what will you include?